Ask 10 other heating and cooling companies how they provide customer service and you would get 10 different answers. Our approach is simple: Who better to judge customer satisfaction than the customer? If you are not completely satisfied with our service, we will do everything necessary to make it right. This has been our philosophy for nearly 40 years. The Aaron York's Quality Air Comfort Club is a members only, money saving opportunity for you. 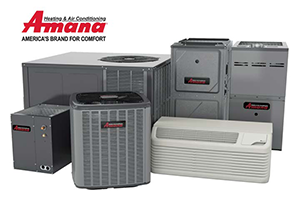 With special discounts, affordable payment plans and priority service on all of our quality HVAC services, there is a perfect level of the Comfort Club for every home in the Greater Indianapolis area. For nearly 40 years, Aaron York's Quality Air has been serving the Greater Indianapolis area. That means our experience and continued education and training are used only to service our community. Most of the former hometown HVAC businesses in our area have been bought out by national chains, thus losing their local ties. We are one of the few businesses in Indianapolis that still holds true to its roots; therefore, we must be doing something right. 4. We don't sell. We provide what you need. We meet your needs instead of providing you with what we think you want. We owe it to you to explain the pros and cons of each option available and offer our experience and advice. With Aaron York's Quality Air, you have a trusted friend in the HVAC business. Our customers know they made the right choice every time. Everyone at Aaron Yorks Quality Air is committed to your complete and total satisfaction. 5. Our technicians are trained in what matters most. Anyone can send a technician to do an HVAC job, but at Aaron York's Quality Air we value how the job is done. Our technicians will arrive at your home or place of business clean, courteous and punctual. Our technicians are trained to offer our clients solutions that provide "Total Home Comfort" and that means more than just the furnace works in the winter and air conditioner works in the summer. Our technicians are trained to provide you with the knowledge you need to make your home comfortable and energy efficient.